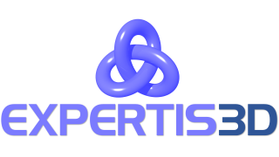 EXPERTIS3D offers independent expert advise for 3D printing based on years of experience in Additive Manufacturing both on research level as large industrial scale. Thousands of projects and in-depth knowledge about all AM technologies enables us to advise you in the best way possible. Whether you are new in the 3D printing world, or already established, we are sure that we can improve your value out of AM. From design optimization to technology selection and optimization, all the way to automated lean production and post-processing, we can assist you all along the way. By working with us, your inhouse expertise will rise quickly. We are driven to push the boundaries of AM, and are very direct (with best cost efficiency on the market) in our approach. With dedication and our Can-Do attitude we make sure to deliver results you desire!